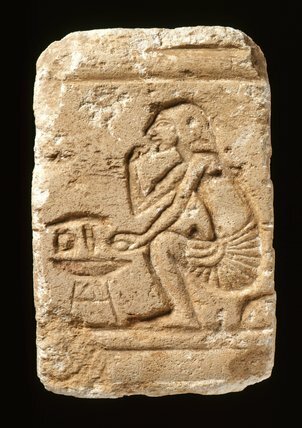 limestone, height 16.4cm, width 10.5cm, depth 4.4cm, 1353-1335 BC. Eighteenth Dynasty. New Kingdom. Find Spot: E-Amarna, Egypt.